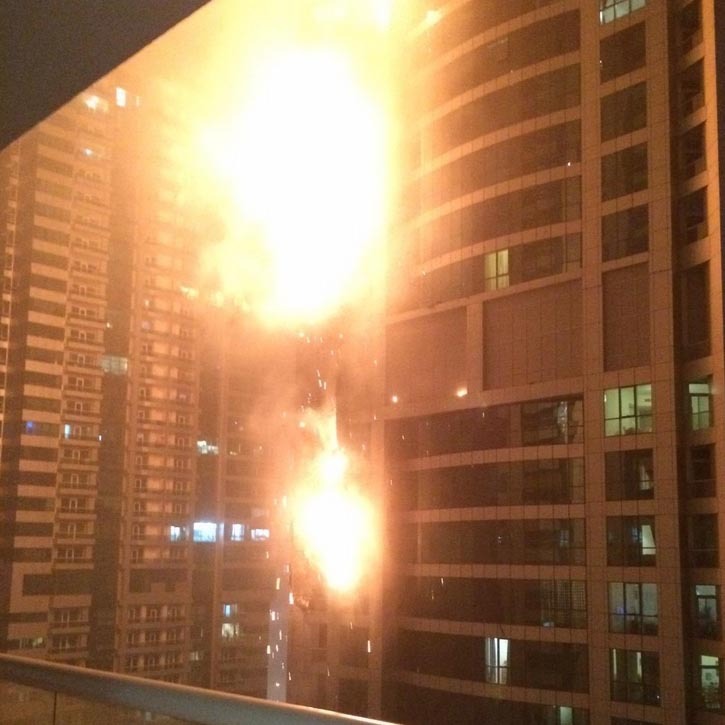 A multistory fire raged up the side of this 1,105-foot skyscraper last night, one of the tallest in Dubai, exacerbated by high winds and casting molten glass and charred masonry from the so-called Torch tower down to the ground below. A few people were treated on the scene for minor injuries and smoke inhalation but no serious casualties have been reported. The blaze appears to have begun around the 50th floor at 2 AM local time before progressing up the side of the building and ultimately igniting other parts of the facade thanks to windswept debris – arson is not suspected at this time. Remarkably, firefighters managed to catch the fire relatively quickly and put out the inferno in a matter of hours despite unfavorable conditions. Home to over 600 residential units, occupants of the Marina Torch are being temporarily relocated by its building managers (Kingfield Owner Association Management Services) while damage is assessed. At this time it is not certain when, how or even whether the structure will be restored. 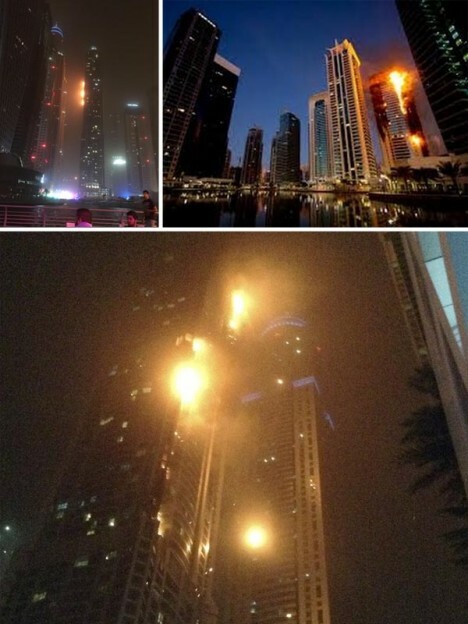 While not unheard of historically, skyscraper fires (especially serious ones) are quite rare today, particularly in developed nations where strict building codes and appropriate material usage helps mitigate their risk. 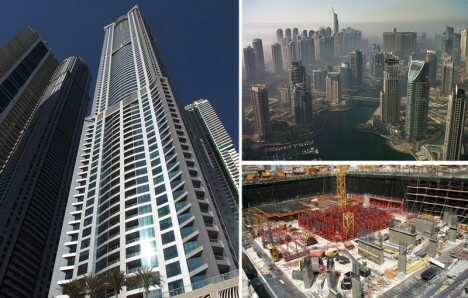 Generally they are caused either during construction or due to significant external factors, such as plane crashes (intentional but also accidental) or earthquakes. Images via the AP, EPA, Reuters and WikiMedia.